"Two years ago, you woke with an image in your mind so vivid you knew you'd seen it before. You grabbed a piece of paper to draw it before it faded: a tree with a figure inside the trunk, all encircled by a vine. The detail flowed without pause through your fingertips, in a style you'd never seen before, but which you knew was ancient. "Since you were a girl, you've been plagued by a dream nearly every night. While you knew it was always the same one, you could never remember it upon waking. None of the doctors you went to could find its cause, or whether it was biological, psychological, or magical. As you grew up, you came to accept it as a mystery that would never be solved. Back in April (exactly six months from today! 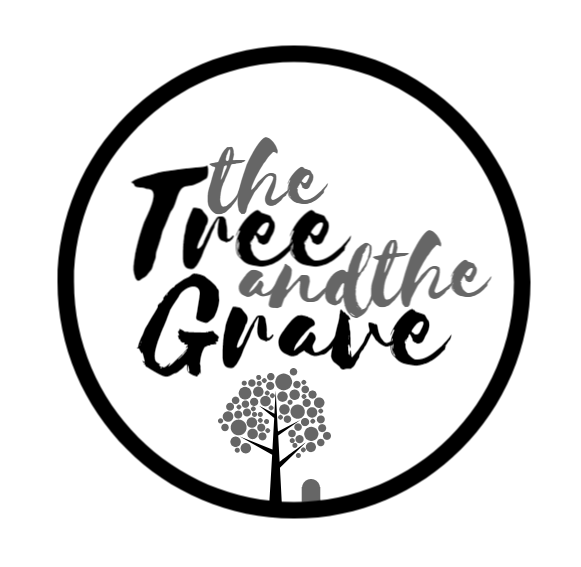 ), I started working on The Tree and the Grave in Twine, a tool for making interactive, non-linear stories. I'd tried this before, back when I'd first heard about Twine, but my idea then was both unfocused and much too complicated. But, in April, as I stared at their website again, longing to make something new, I remembered a dream I'd had as a teenager. It was a dream I'd always wanted to make into a story. In true Thea fashion, there was a forest, a woman with magical abilities, and a magnificent twist at the end, but I could never seem to find the way to tell it until I considered using it for a game. The sparks hit kindling; I could picture the whole game clearly, and it could be something my previous idea couldn't: small enough to see to the end. ...and drew out my plan for how to structure everything. It looked possible, so I got to work in Twine, a scene at a time, writing brief summaries of the action as placeholders while I hammered out functionality. For the next four months, I turned those placeholders into real writing, turning a half-remembered dream with an underdeveloped plot into a tight, highly focused game. Two details and a single repeated image turned into a workable magic system. Absurd details from the dream like riding a miniature giraffe fell by the wayside (poor giraffe), and a backstory grew to fill the spaces and strengthen what had made the idea stay in my brain for so long. Exciting as it was, it was also a slow, frustrating process, as I applied a level of rigour I'd never employed before with my writing. I wanted each line to sing, and I wasn't going to stop until it did. Some days, I wished I hadn't decided to do this. I would open up Twine, start playing the Moana soundtrack (which I listened to exclusively while working on this game, from planning to edits), and let the first few songs play as I convinced myself to keep going. My old writing method was much faster. But the results from this one spoke for themselves. Last month, I finished my edits and showed The Tree and the Grave off at the Edmonton Expo. I got to watch people go from scrolling down the screen at my suggestion to growing still, glued to the words until, demo ended, they reluctantly pulled away. After the Expo, I took what I'd learned from watching people play (and, in one case, from direct feedback) and began prepping the game for release. My brother volunteered to make installers for me (!!!) and I, stumbling across possibilities for customizing the game's appearance, polished The Tree and the Grave as furiously as the lamp you believed had a genie in it when you were a child (just me?). The day before the preorder went live, my brother and I finalized the game. Today, it officially becomes available for purchase. The Tree and the Grave is proof of that.